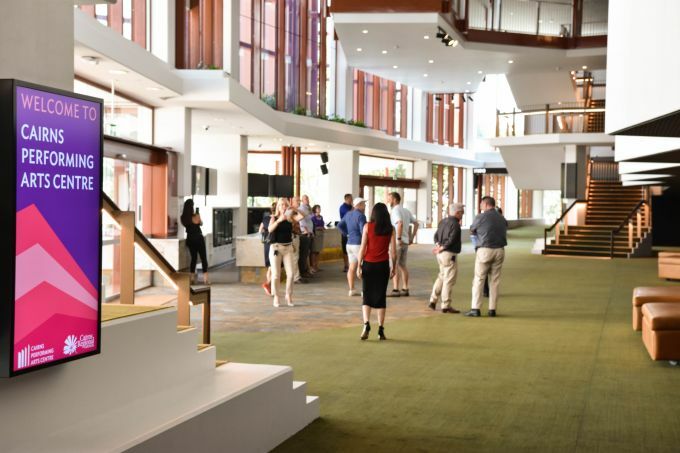 The Cairns Performing Arts Centre opened on 15 December 2018 completing Council's vision for The Precinct. 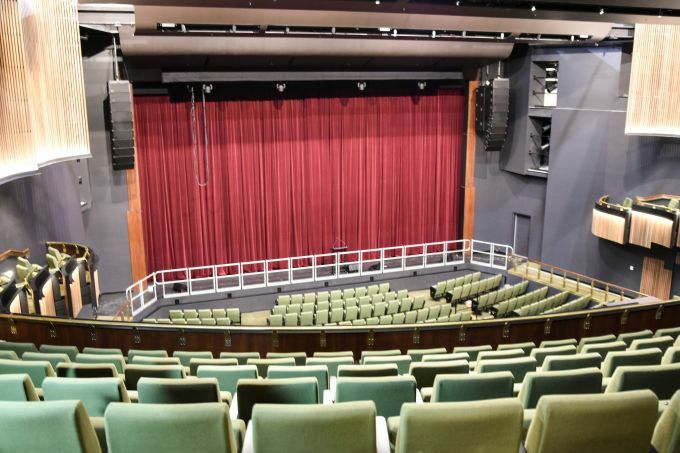 CPAC replaces the former Cairns Civic Theatre providing a greatly enhanced audience experience and a state-of-the-art facility that will support our local performers. The $71 million project took about 2 years to construct. For further information, or to book tickets for CPAC shows, please visit the CPAC website. 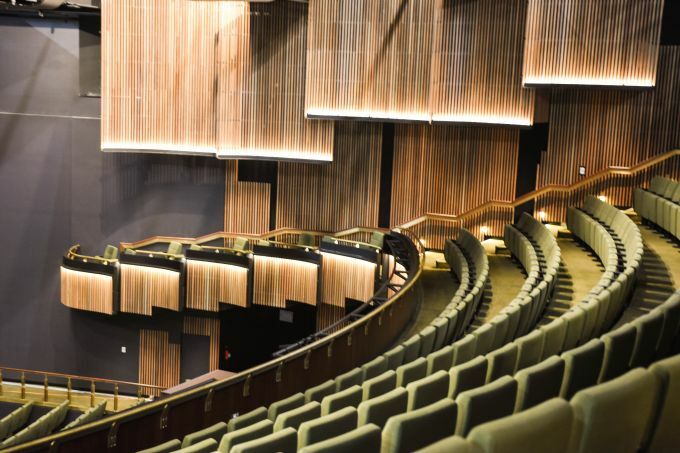 The Cairns Performing Arts Centre is a joint initiative of Cairns Regional Council, the Queensland Government through Arts Queensland and the Australian Government. The stage is large enough for a full symphony orchestra or ballet troupe. There's not a bad seat in the house. View from the main auditorium balcony. 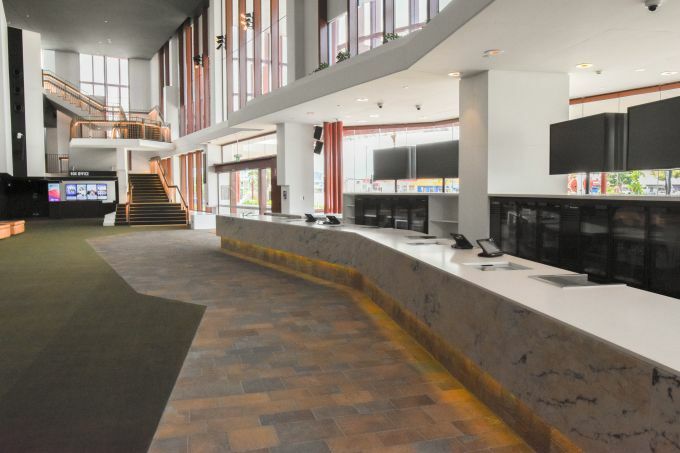 The CPAC foyer is a place to mingle before a performance and enjoy a snack or beverage from the bar. 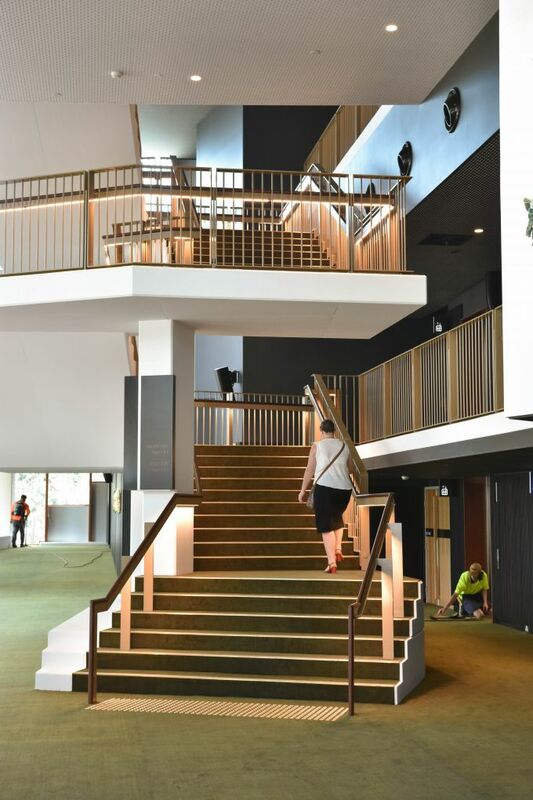 A winding staircase takes patrons to the balcony foyer to enjoy views over Munro Martin Parklands. Patrons can enjoy snack and beverages before the show and during intervals. 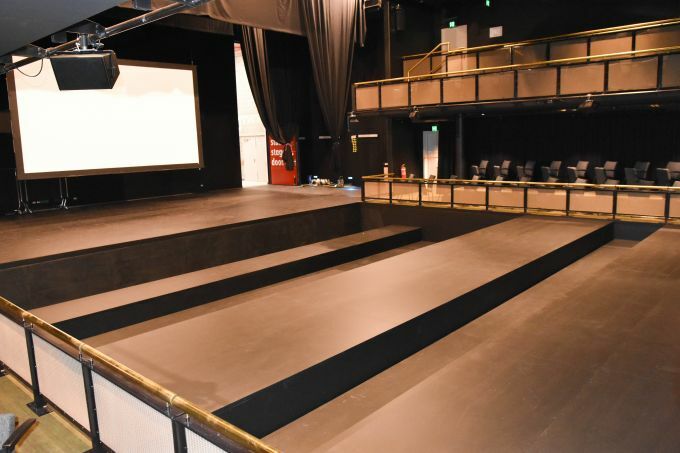 The floor in the studio theatre can be lowered to provide a flexible performance area for stall seating, theatre in the round or seated functions. The CPAC interior features rich, earthy tones and wood features. 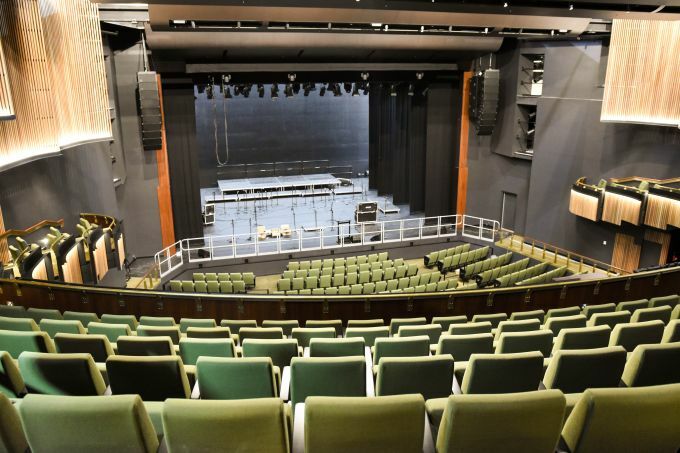 This table provides a comparison of the major components of the Cairns Civic Theatre versus the new Cairns Performing Arts Centre. 13.5m deep by 27m wide (including wings). Large enough for a full symphony orchestra or ballet company.